In light of Juan Uribe‘s homerun last night (I would have LOVED to hear the Vin call, that’s another discussion), where does that rank in modern-era Dodger homeruns? Obviously Kirk Gibson is number one. 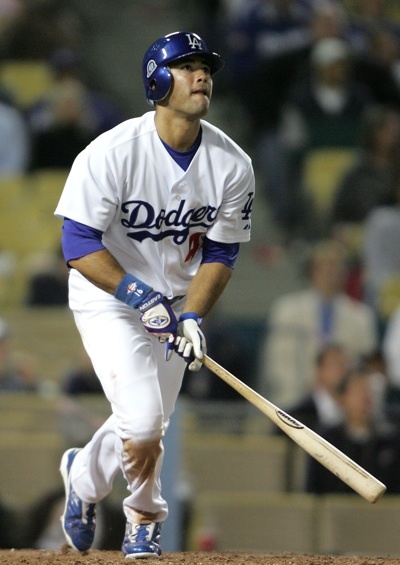 For me, Steve Finley grand slam final day of season 2004 to give the Dodgers the NL West crown is memorable, as is the Four Straight Homeruns capped off by Nomar Garciaparra’s blast to win it in extra innings. Those were both regular season, though. ‘s off of Doc Gooden was actually the catapult for the ’88 playoffs in the Mets series, so that would have to be number two. . .
but are there any others in recent history that I’m omitting? And this. . .the day after Magic sells his share in the Los Angeles Lakers. . . The always insightful & humorous Tom Hoffarth brings us the sad/distraught/odd? 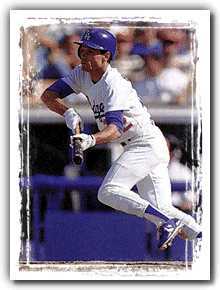 news about Kirk Gibson, he of the most famous homerun in Dodger history. Initially, I was apathetic upon the announcement; it’s the guy’s bat, he can do what he wants. . .even though with an impending visit to the Baseball HoF with my Dad, Mom & Wife, it would be nice to experience/feel/see one of my favorite childhood moments up close. There’s a whole, cool story behind the black-and-yellow pine-tarred Worth Tennessee Thumper bat that Kirk Gibson used to hit the most dramatic home run in Los Angeles Dodgers history 22 years ago. Pull up a chair, he can tell you all about it. Actually, the real story here is: Why isn’t it in a display case in the Baseball Hall of Fame in Cooperstown? Or at the Sports Museum of Los Angeles? 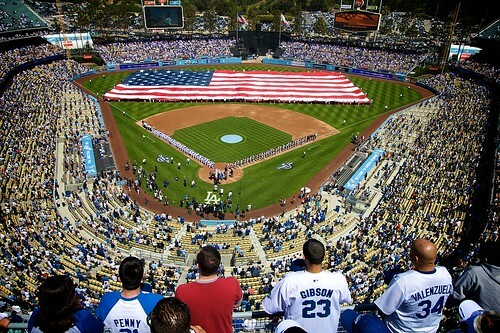 Or somewhere at Dodger Stadium? And why, if anyone with credit card was so inclined, could it be bought next week at auction, stuck into someone else’s own secure humidor, and perhaps never shown to anyone without some kind of written consent form? Until now, it’s been sitting it in a safe, in a warehouse near his home in Michigan. 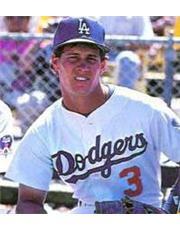 He only used that bat during the 1988 playoffs because “I started getting tired,” he says. “I had no legs at all, so I didn’t want to be swinging any big lumber.” By Game 1 of the 1988 World Series, both his knees were shot. He needed something much lighter. Now, you can assume that Gibson, recently hired as the full-time manager of the Arizona Diamondbacks, doesn’t need the money he’ll receive in return from this highest-bidder-gets-a-piece-of-history exercise. But he won’t say. The character of the bat isn’t what’s in question here. It’s seems to be more about the character of Gibson, who is putting this, plus the batting helmet he wore, and the tar-smudged, never-washed white Dodgers jersey top out there for someone to buy. Plus a gray road uniform from that World Series. The opening bids for the five items add up to $85,000. SCP Auctions CEO David Kolher projects about a half-million dollars will come from it. The profits go to Gibson. True, in this same auction from Oct. 27 to Nov. 13 on SCPAuctions.com, also up for bid are Gibson’s 1988 N.L. regular-season MVP Award and his replica ’88 World Series trophy, with the proceeds going to his foundation. That will fund scholarships for the two high schools in Michigan that his mother and late father used to teach. The combined minimum bids for those two items are $30,000, expected to fetch in excess of $100,000. Don’t confuse those two charity-based hawked items with the other five 1988 World Series pieces. Since we may never see the ball that Gibson hit for what’s been called the biggest sports moment in Los Angeles history – the owner of it has never surfaced, and it would be nearly impossible to verify its authenticity without the holograms used on today’s equipment – why wouldn’t these treasures be placed somewhere to be marveled at by the public? “I’m really at peace with what I’m doing,” Gibson explained, implying that he’s done listening to what other people think he should do with it. He said that while his relationship with the media and fans has been touchy in the past, “it’s much improved, and I’m going to continue to improve it,” he said, knowing that as the Diamondbacks manager, that’s probably a requirement. Kohler, who has one of the greatest collections of Lakers memorabilia at his Orange County home, says it’s more common these days for buyers of this kind of stuff to display it. For the public? Or in their own homes, with added security. Yet there’s no guarantee that whomever buys these items will put them on display, but Gibson says he’s “hopeful” that happens. Gary Cypres, the curator and megacollector who owns the Sports Museum of Los Angeles, agreed that they were “great pieces, and I’d love to own them,” as he looked at the rooms of Dodger memorabilia in his personal treasure trove. But estimating a $200,000 fetch for the uniform, for example, “that’s a lot,” he said, noting that there’s much more of an emotional tie to these items. Having possession of them this long has actually given Gibson what he calls a “phobia,” with his fearing they’ll be destroyed in a fire. Yet, he’s hung onto them. The bat, Gibson admits, was once requested by the Hall of Fame, but it never got there. How it was that they weren’t conveniently picked up by a locker room kid, or a team official, or someone else in the meyhem of that moment on Oct. 15, 1988, Gibson doesn’t seem to be surprised. “Well, they were mine,” he said, adding that owner Peter O’Malley also gave him a giant LeRoy Neiman lithograph of that moment and allowed players to keep their jerseys and, presumably, other items. At least we know where the bat is. For the time being. But for the rest of time, Gibson will handle it his way. He says he also has many items from his days with the Detroit Tigers – more equipment from the 1984 World Series – that he will sell off as well. Maybe for his foundation. Maybe not. The bat alone, item No. 1198, has a opening bid of $25,000, with expectations that it could go for more than $200,000. So a price has just officially been set on a priceless archive of Los Angeles history. 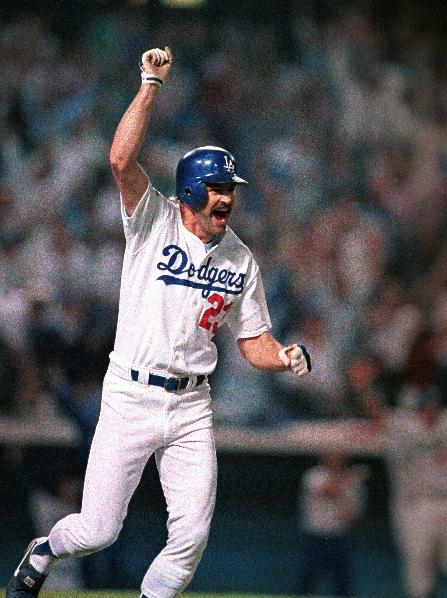 Everyone in L.A. will remember where they were when Gibson hit the home run. Will they remember where they were when swatches of the event were parceled off to the highest bidder? Now that all teams have officially had their home openers, the MLB season is officially underway – analysis is ongoing and predictions are rejiggered. From a macro-perspective, YKI won’t attempt to make copious observations, but one thing is becoming evident: despite initial predictions of the Rockies running away with the NL West crown, the team that’ll win the West will undoubtedly be the the San Francisco Giants. 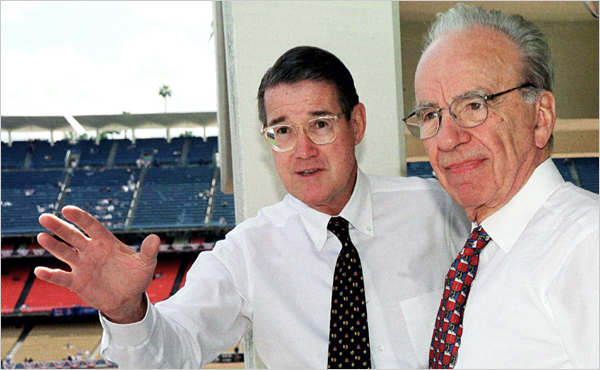 Ouch – Dodgers fans and L.A. sports loyalists have already begun to cower, especially with the increasing security issues at Dodger Stadium clouding an already nebulous season at Chavez Ravine. 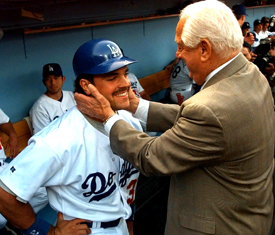 The divorce has been discussed ad nauseam, the pitching was such that Vicente Padilla started opening day, and though the offense is rolling – the ethereal ‘mojo’ that is so important over the course of a baseball season is non-existent, unless one is referring to the ONE HUNDRED & THIRTY-TWO PEOPLE THAT WERE ARRESTED AT DODGER STADIUM ON OPENING DAY. Tim Lincecum: Unorthodox, undersized, doesn’t ice his arm, meddling father, arrested for weed possession and just plain overwhelmingly dominating. Two Cy Youngs in three years. Beat that. 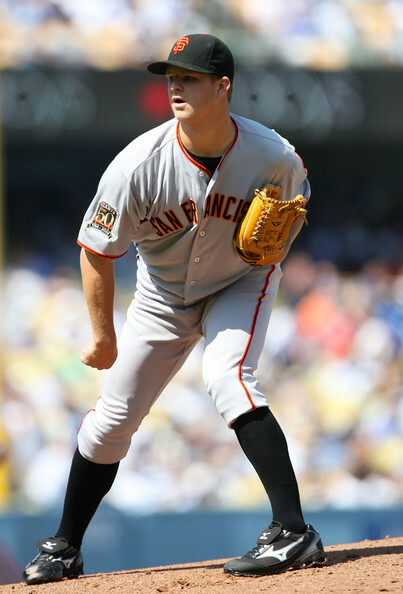 Matt Cain: A right-handed, tall version of Lincecum (minus the weed). Dominating. Jonathan Sanchez: Young, nasty left-hander with a no-hitter on his resume (last year) and 17 K’s (in 12 innings) in his pocket. Gnarly stuff would make him an Ace-in-the-making on a ‘normal’ pitching staff. 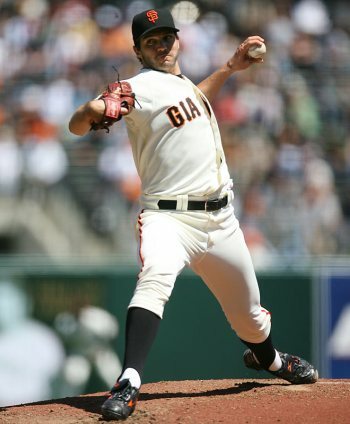 Barry Zito: “my. Boy. 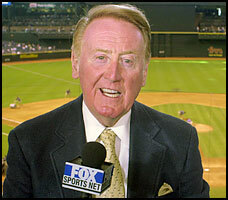 BARRY!“is proving once again why he was a Cy Young Award winner, and earner of that monstrous, $126mm contract in 2006. While many Giants fans consider him an albatross, he is clearly comfortable (finally) in SF, and since the 2nd half of 2009, recovered his old form – making him the only Ace in the league that holds down the 3 spot in a pitching rotation. Now, there is still the pesky issue of a medicore bullpen, but closer Brian Wilson is strong enough to finish games, and deserves the ‘closer’ moniker in the true sense, as opposed to say, the Jeff Shaw/Brian Fuentes/Eddie Guardado Closer that received the role by default and was somehow labeled as such. Offensively, special things are happening with this team. Pablo Sandoval is still raking. Edgar Renteria can still hit. Aubrey Huff is doing the job. And while they wait for uber-prospect Buster Posey to arrive from Fresno, Bengie Molina continues to win over fans and critics. And perhaps most scary, Aaron Rowand is Kirk Gibson – a football mentality, hard-nosed outfielder that plays balls-out, and though numbers don’t indicate his value, is a stalwart in the middle of that offense. In short, this team has arrived earlier than planned, and they will continue to scrap out victories in 3-2, 2-1, 2-0 fashion. The Giants are here, and they will win the West. 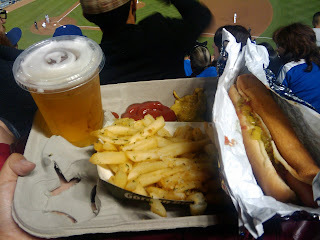 As fans of the Dodgers wallow in the misery that is the McCourt Divorce proceedings – accompanied by a 2-4 start on the road versus the woebegone Pirates and payroll-challenged Marlins – there is respite in the looming despair: Opening Day, 2010. With an abundance of talent and numerous question marks about the state of the Organization, YKI flashes back to the years of yore, with photographic memories of my childhood and the Dodgers. Opening Day is a time of hope and positivity toward the future and nostalgic leanings to the past, and here I present some of the images that in these times of $15 parking, $70 Loge seats & $12 beers, still make it so difficult to be objective about the Organization that produced so many good memories in my household.